Introducing the most advanced air braked trainer on the market. 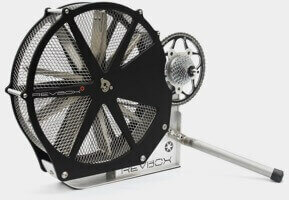 Unlike other trainers, the Revbox has been proven to maximise muscle use efficiency by training you to pedal correctly in perfect circles, gaining the maximum out of your training and strength building. 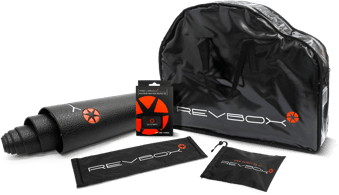 If you want to see real results and increased efficiency in your training, join the movement and see for yourself why Revbox is becoming the worldwide trainer of choice. Linda Villumsen is a World Champion cyclist having won Commenwealth and World Titles. Originally from Denmark Linda now rides for New Zealand in races all over the world. Andrea Hewitt is ranked 4th in the world and is one of New Zealand’s top triathletes. Having successfully competed at the ITU Triathlon World Championships as well as at the Commonwealth Games she holds over 35 podium wins. German triathlete, Florian is seen as one of the upcoming stars in the German triathlon scene. Florian has competed in various national and international events with promising results. Hayden is a cyclist with the New Zealand team ONE Pro Cycling Rider. Having had some great results on the road Hayden has been moving his way up the podium. Maloja Pushbikers have won races globally with their international team of riders - becoming one of the best track teams in the world. Revbox is proud to be the official training partner of Maloja Pushbikers and the team of young Future Stars they train and inspire. Paralympics New Zealand delivers high performance programmes and encourages the community to become more involved in Para sport. Revbox are proud to partner with Paralympics New Zealand, supporting their athletes with elite training machines while creating awareness around their sport programmes. 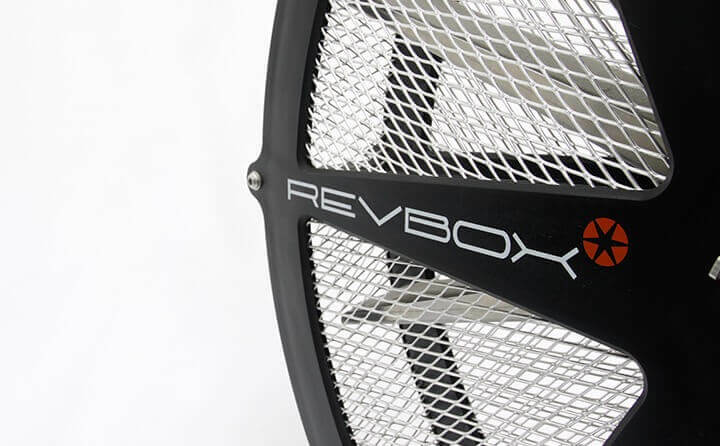 It is important that when training, all muscles are engaged and receiving an even workout - how does the Revbox achieve these two key elements? Forms the heart of the trainer, operates almost entirely without centrifugal mass, giving the Revbox its very low inertia. This means that the athlete does not at any point in the 360° pedal stroke receive any assistance from the weight of the flywheel, as is the case with most other trainers. The rider's entire pedal stroke becomes audible through the sound produced by the fan, all without the need for electronic aids. 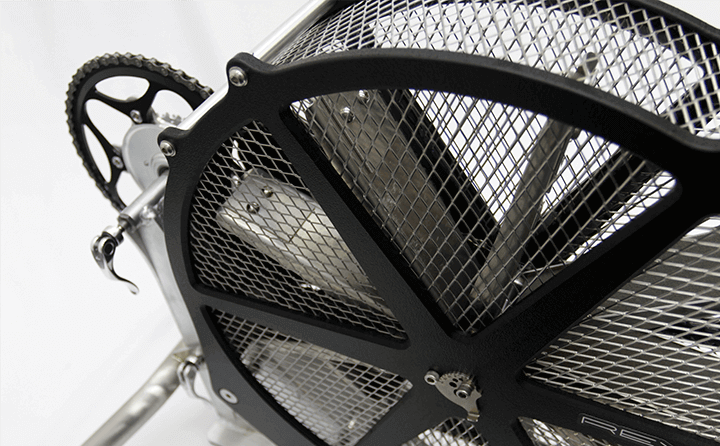 When the fan emits an inconsistent, uneven sound, the rider's pedal stroke is not even and smooth. When a consistent, even sound is heard from the fan throughout the pedal stroke, the rider has succeeded intraining all muscles equally, pedaling in a perfect circular motion. An invaluable advantage that no other trainer can rival. 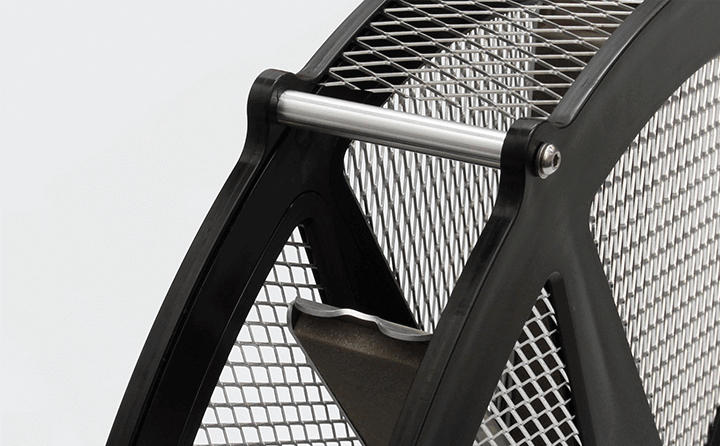 Thanks to these two crucial features - the fan & audible feedback - all lower leg muscles are engaged and receiving an even workout throughout the entire 360˚ pedal stroke. Training your brain to pedal in perfect circles. This results in training conditions that are accurate and efficient, allowing the rider to achieve more in less time, perfecting muscle tone, strength and stamina. Recreational cyclists, commuters & fitness enthusiasts can improve fitness while getting faster and stronger in less time. Those recovering from accidents, injury or surgery, will benefit from the extremely low centrifugal mass - which provides a gentle, non aggressive workout - avoiding any unwanted stress on any of the joints. Elite and world class athletes will gain a real edge and train more efficiently, with better personal results than ever before. Engage all of your lower muscle groups evenly, throughout the entire 360˚ pedal stroke. Experience improved performance and better personal results in a shorter period of time. Train anywhere! 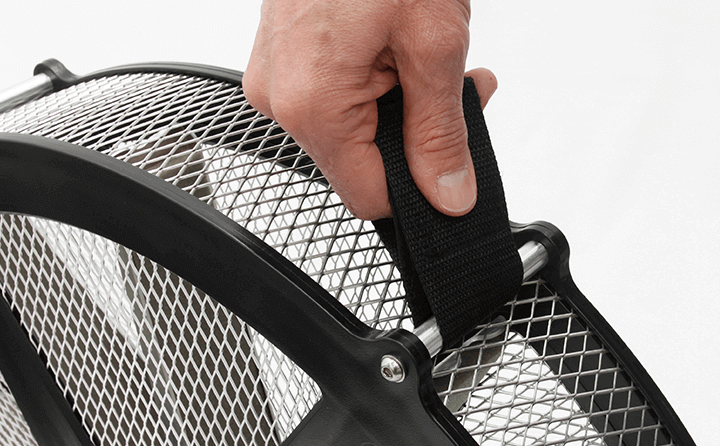 A lightweight, portable unit that doesn’t require an external power source. The unit is fully enclosed with a mesh casing, providing peace of mind whenever you train. 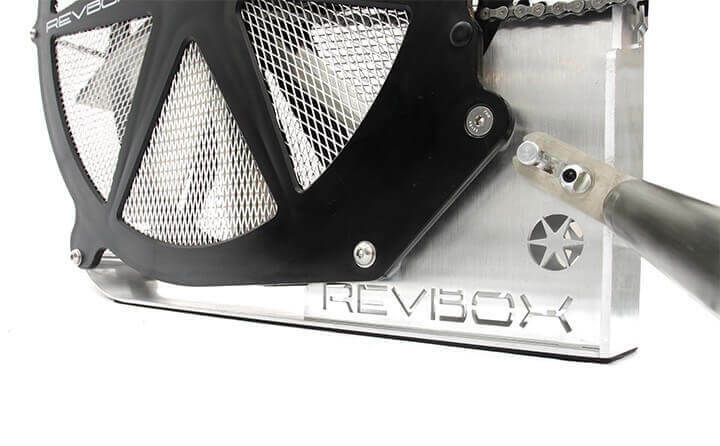 Comprising of top-end, precision machined components, the Revbox is durable and strong.